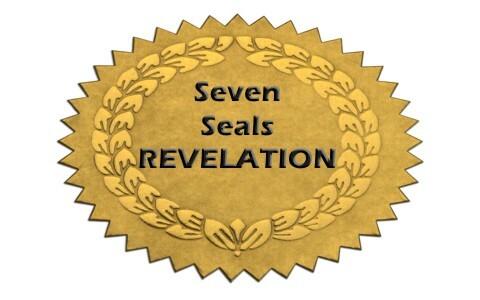 Have you ever wondered what the seven seals in the Book of Revelation are and what they are for? The first of the four seals are what are sometimes called the Four Horsemen of the Apocalypse (or unveiling). These horses either speak of a time past or a time yet to come and still others think that these horses are already being ridden in history today. These are found in Revelation 6 where we read “when the Lamb opened one of the seven seals” (Rev 6:1) and then seal number one was announced. “And I looked, and behold, a white horse! And its rider had a bow, and a crown was given to him, and he came out conquering, and to conquer” (Rev 6:2). This sounds very much like someone pretending to be Christ as Jesus is coming again on a white horse as the King of kings but Jesus will have a sword (Rev 19:6-21) and this rider had a bow and came out to conquer. This could represent the many false prophets Jesus foretold about in prophesying about the end times in Matthew 24:5 where He said “For many will come in my name, saying, ‘I am the Christ,’ and they will lead many astray” meaning that they will be pretending to be ministers of the gospel but are wolves in sheep’s clothing. Remember that Satan’s ministers look like preachers of righteousness (2 Cor 11:15). “When he opened the second seal, I heard the second living creature say, “Come!” And out came another horse, bright red. Its rider was permitted to take peace from the earth, so that people should slay one another, and he was given a great sword” (Rev 6:3-4). The red horse may symbolize the color of blood (red) and it was allowed to send war and take peace away from the earth. Once more this is strikingly close to what Jesus said about the end times that “you will hear of wars and rumors of wars. See that you are not alarmed, for this must take place, but the end is not yet” (Matt 24:6a). “When he opened the third seal, I heard the third living creature say, “Come!” And I looked, and behold, a black horse! And its rider had a pair of scales in his hand. And I heard what seemed to be a voice in the midst of the four living creatures, saying, “A quart of wheat for a denarius, and three quarts of barley for a denarius, and do not harm the oil and wine” (Rev 6:5-6). A denarius was about a day’s wages and famines and food shortages typically follow times of wars (2nd seal) and so it could well take a full day’s wages just to buy about a quart of wheat, just enough for one person to eat for one day but not enough for someone to feed their family and thus famine. Interestingly the very next thing Jesus says after the wars and rumors of wars is that “there will be famines” (Matt 24:6b). “When he opened the fourth seal, I heard the voice of the fourth living creature say, “Come!” And I looked, and behold, a pale horse! And its rider’s name was Death, and Hades followed him. And they were given authority over a fourth of the earth, to kill with sword and with famine and with pestilence and by wild beasts of the earth” (Rev 6:7-8). When someone dies, they are said to be of a pale color so death and the pale horse could most certainly reflect the color of death which may be why the rider’s name was Death and Hades (the grave) followed him. Jesus warns the listeners and readers that “All these are but the beginning of the birth pains” (Matt 24:8). “When he opened the fifth seal, I saw under the altar the souls of those who had been slain for the word of God and for the witness they had borne” (Rev 6:9). Could this be talking about a great time of martyrdom? Perhaps because the very next thing Jesus speaks about in the end times in Matthew 24 is that “they will deliver you up to tribulation and put you to death, and you will be hated by all nations for my name’s sake” (24:9). “When he opened the sixth seal, I looked, and behold, there was a great earthquake, and the sun became black as sackcloth, the full moon became like blood, and the stars of the sky fell to the earth as the fig tree sheds its winter fruit when shaken by a gale” (Rev 6:12-13). Jesus had previously said in Matthew 24:7b that there would be “earthquakes in various places” and the earthquakes would shake the fig trees, the resulting worldwide fires could cause the moon to be blackened out and even the sun appear as if viewed through the smokescreen of the clouds from the fires (like a sackcloth). The first angel’s trumpet blast of the seventh seal contained “hail and fire, mixed with blood, and these were thrown upon the earth. And a third of the earth was burned up, and a third of the trees were burned up, and all green grass was burned up” (Rev 8:7). The second angel’s trumpet was “something like a great mountain, burning with fire, was thrown into the sea, and a third of the sea became blood. A third of the living creatures in the sea died, and a third of the ships were destroyed” (Rev 8:8-9). The third angel’s trumpet of the seventh seal was where “a great star fell from heaven, blazing like a torch, and it fell on a third of the rivers and on the springs of water. The name of the star is Wormwood (bitter). A third of the waters became wormwood, and many people died from the water, because it had been made bitter” (Rev 8:10-11). The fourth angel’s trumpet was where “a third of the sun was struck, and a third of the moon, and a third of the stars, so that a third of their light might be darkened, and a third of the day might be kept from shining, and likewise a third of the night” (Rev 8:12). The fifth angel’s trumpet was where scorpion like creatures “were allowed to torment them for five months, but not to kill them, and their torment was like the torment of a scorpion when it stings someone. And in those days people will seek death and will not find it. They will long to die, but death will flee from them” (Rev 9:5-6). The sixth angel’s trumpet of the seventh seal had “four angels, who had been prepared for the hour, the day, the month, and the year, were released to kill a third of mankind” (Rev 9:15) where “a third of mankind was killed, by the fire and smoke and sulfur coming out of their mouths” (Rev 9:18). The seventh and final angel’s trumpet of the seventh and final seal included “loud voices in heaven, saying, “The kingdom of the world has become the kingdom of our Lord and of his Christ, and he shall reign forever and ever” (Rev 11:15). We must remember that the Book of Revelation is not written in exact chronological order and that it is steeped in symbolic images and the meanings of all of these images or symbols are not all clearly understood. We can take educated guesses about these things but the main point is that God will judge the unrepentant but will spare His wrath on all who have repented and trusted in Christ. That’s all you need know and in fact, that is the most important thing you need to know. Hi. Thank you so much. It helped me a lot since I just read The Book of Revelation. Now I want to ask if you can tell me what or who is the FAMOUS PROSTITUTE in the Revelation 17. ? Because I have already an idea but I don’t want to judge just because it is just my opinion. But I want to know your side. Thank you! In Rev. 5: 1-7 the question is, who is worthy to open the scroll? In verse 6 it says behold a Lamb as though slain. My question is this, when would Jesus look most as if slain? Answer: when he first came off the cross and ascended into Heaven. In chapter 6 he begans opening the seals. If that is the case and He is opening the seals now I believe we are in seal number 3 and seal number 4 will be the final 7 years of this age and contain the great tribulation that Jesus talks about in Matt. 24. I’m not saying that is the way it is happening, i’m just saying. Food for thought.